EAST HARRIS COUNTY – Environmental activists and residents of the areas around the San Jacinto River Waste Pits praised the announcement Monday that the PRP (Potential Responsible Parties) had come to an agreement with the EPA (Environmental Protection Agency) to start the engineering design work required to implement the ROD (Record Of Decision) that called for the removal of all of the toxic waste from the site. 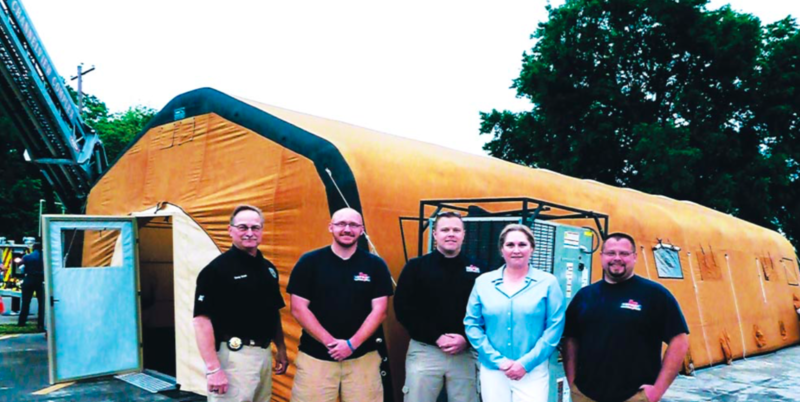 GALENA PARK – Unbeknownst to most Harris County residents, representatives from cities and county governments meet monthly with industries to plan for an emergency disaster event on how to better protect the citizenry. The Galena Park-Jacinto City Community-Industry Partnership (CIP) met with Diane Sheridan CIP facilitator and heard reports on local plant conditions and how the plants would collectively respond to an emergency. The attendees learned the industry and community capacity for managing major industrial fires, explosions and toxic releases, and then toured and learned how the emergency equipment can be used. Allan Jamail, writer for the North Channel Star and former Emergency Management Coordinator (EMC) of Jacinto City, said he’s proud of the improvements made to protect the communities since he served in the 1980’s. “Today with the advance technology of emergency equipment and the coordination of governments and industry planning it will mitigate or lessen the severity of the impact on communities should a disaster occur in Harris County,” Jamail said. The East Harris County Manufacturers Association (EHCMA) announced the release of a new CAER Online member alert notification system. 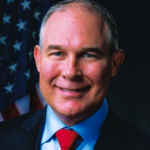 This new system will provide a simpler, more intuitive website for EHCMA member companies to post informational and alert messages to the membership and general public. Community members can visit this website to view posted messages online from EHCMA member and nonmember facilities or local offices of emergency management. 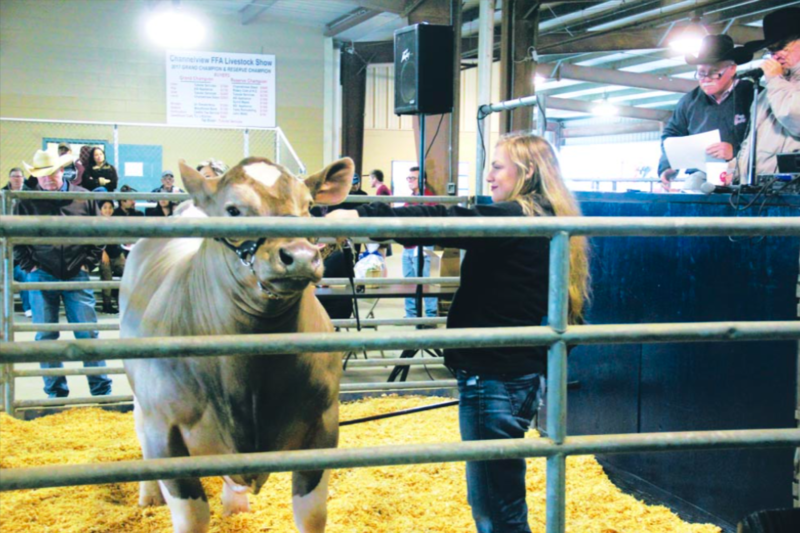 The 55th annual Channelview FFA Livestock Show celebrated another successful year as the auction highlighted the conclusion of the event at the Allen Hall Fairgrounds on April 7. Many livestock, horticulture and craft exhibits were featured during the week. Auction highlights included the bidding of the Grand Champion and Reserve Champion steers. Madisyn Beach’s Grand Champion Steer earned $5,500 with a winning bid by Channelview Glass. Colton Taylor’s Reserve Champion Steer was purchased for $8,000 by Yates Remodeling. 25,000 Fans gathered for the Dome tour. HOUSTON – Fans of the Astrodome brought their memories to a large party Monday night, inside the famed Dome. 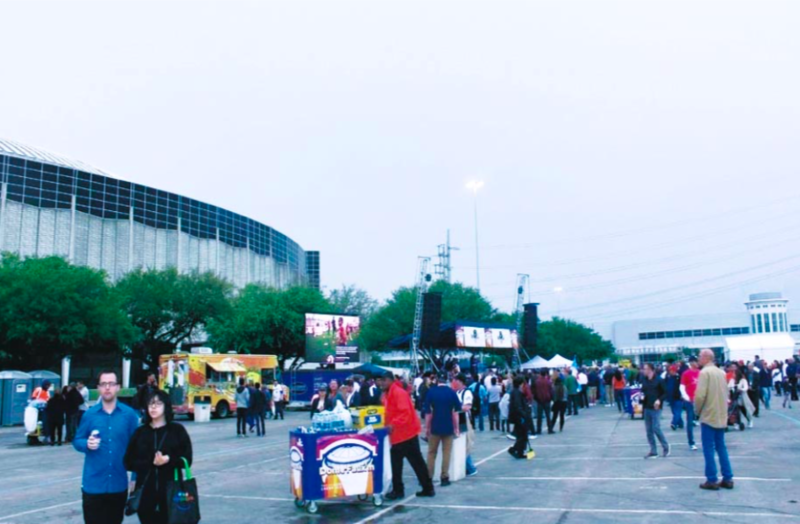 The Astrodome Conservancy held the party, and at least 25,000 fans showed up, to hear music, eat some food truck grub, and mostly just stare at the cavernous space and relive their memories of the last time they saw a game or event there. It was the 53rd Anniversary of this so-called Eighth Wonder of the World, which is about to gain a new life as an indoor park and event space for the County. Commissioner’s Court in February approved a $105 million plan to renovate the Dome, and work will start in the fall, so this is the last time the Dome would be available to see it the way it was when it opened in 1965. Some new, some old fans gazed up at the space. Phoebe Tudor, chair of the Astrodome Conservancy, said that this event was so popular that the 25,000 tickets sold out in less than two hours. Tickets were free, too. 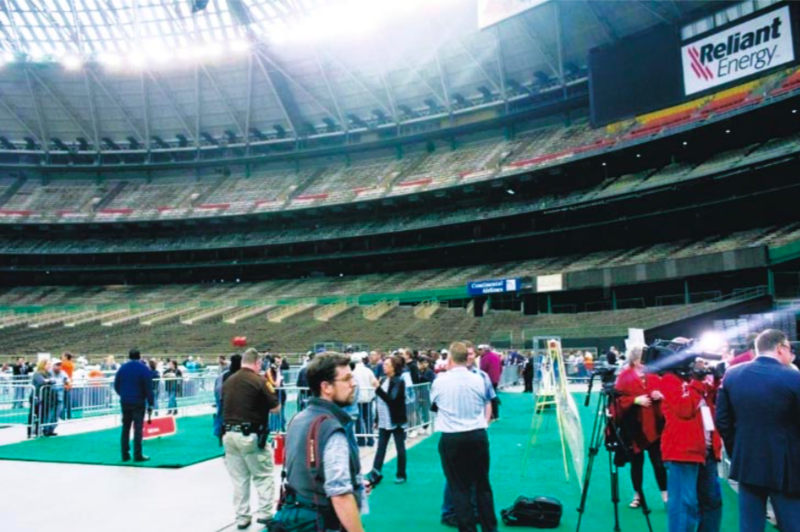 Fans remembered when the Dome was the home of the Astros, from 1965 to 1999, and the Oilers from 1968 to 1996. In 2009 building inspectors ruled the building unsafe, and it has been closed since then. The revitalization plan calls for an underground parking garage, with 9 acres of park space above at street level. The new Dome will be available for festivals, conferences, and commercial space, according to County Judge Ed Emmett. It will also be a passive and recreational park, under an air-conditioned dome, another first for the city and the country. Emmett also envisions that the space can be used as an adjunct to NRG center, for boat shows, auto shows, and the Rodeo. Construction will start in October, and last for 17 months.